You can reach Valerie by email (Valerie@homecarematters.com) or in our office (770.965.4004). Mitch was born in Miami, FL and a few moves later, grew up locally in the Marietta, GA area. He currently calls Flowery Branch home. He has 4 siblings (1 sister and is the middle of 3 brothers). Mitch has two children. Mitch’s mom, Dee was (is) the company inspiration and is one of the main drivers of the how and why we operate our business the way we do. Mitch carries her memory in all he does at HCM. Mitch is also related to the owner/founder of HCM, his sister, Valerie. Mitch started working with HCM in 2013 to help continue and grow our marketing, sales, networking and client relations. He brings a wealth of successful sales experience to HCM. On any given day, you may encounter Mitch answering phones, visiting with clients, or in one of the many networking, CEU events, or other HCM sponsored events in the area. He is a valuable and trusted member of the HCM team and he helps keep the levity among our office team. You can reach Sky via email (sky@homecarematters.com), or our office phone (770.965.4004). Abbey is from Marietta, GA and is the youngest of four girls. She is married and the mom of four children. 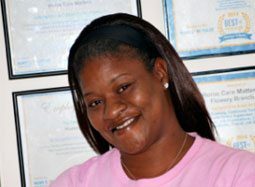 Abbey has been working is the home health field for more than 7 years. 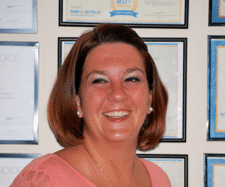 She joined the HCM team in October 2014 and we are very happy that she is here. You can reach Abbey via email at (abbey@homecarematters.com), or our office phone (770.965.4004). Karl Ryder is a Senior Advisor to Home Care Matters (HCM). In this role, Karl provides guidance regarding industry practices, regulatory changes, growth and performance enabling strategies. The Ryder Group, a boutique-consulting group supporting Investment Banks, Private Equity, Venture Capital and Independent Businesses. Karl is married and lives in Flowery Branch, Georgia with his wife Valerie and their daughter Sydney. 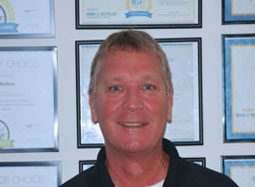 Karl enjoys vacationing with his family and friends, golfing, motorcycles, boating, fishing, and auto racing. With regard to the home care business Karl says, “The aging process is something we all have in common. It can be a stressful time that requires compassion, support, guidance, and patience. I personally experience a great sense of value knowing that every HCM employee is passionate about helping patients and families during one of the most challenging and stressful times of their lives. You can reach Karl by email (karl@homecarematters.com) or in our office (770.965.4004).